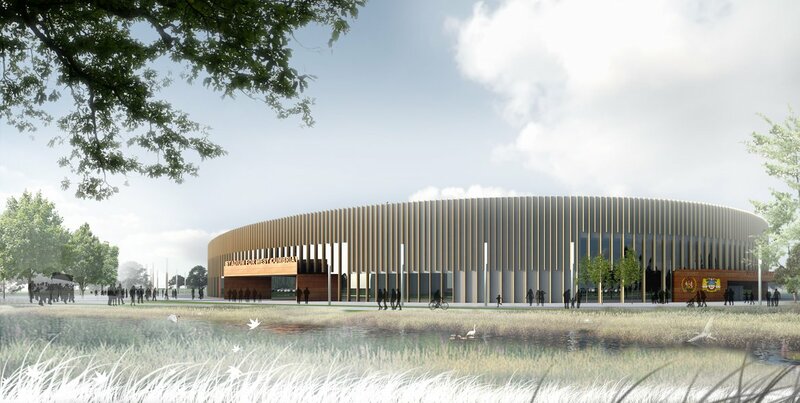 Ambitious plans for a new community stadium and sports development for west Cumbria have been released by Allerdale Borough Council. 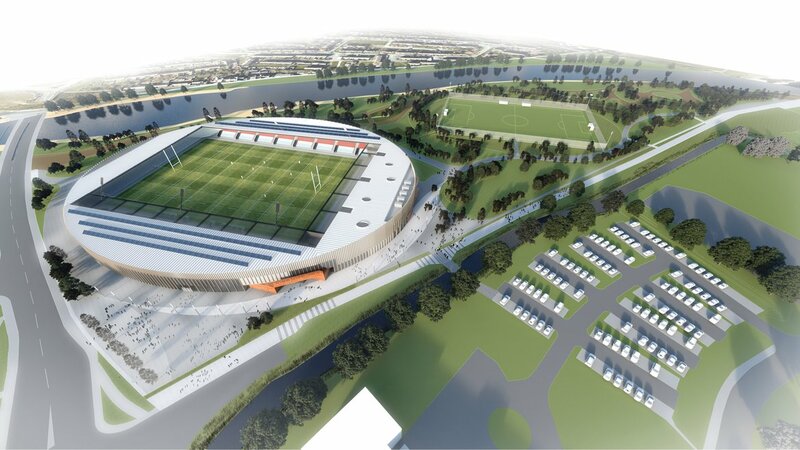 The planned development would be situated around the current location for the Workington Reds ground and includes an 8,000-capacity stadium and a full-size synthetic pitch for community use. There are also plans to open-up and enhance the local riverside area. The location was chosen after looking at a range of site options with Workington Town rugby league club and Workington Reds football club. The stadium is due to be the home of both clubs. They have been working with the council after they jointly approached it to see if they could develop first rate shared facilities in the town which would benefit the clubs, players, and supporters. With shared costs and new, modern and more efficient facilities, the new stadium would make the clubs more sustainable and encourage a bigger fanbase. 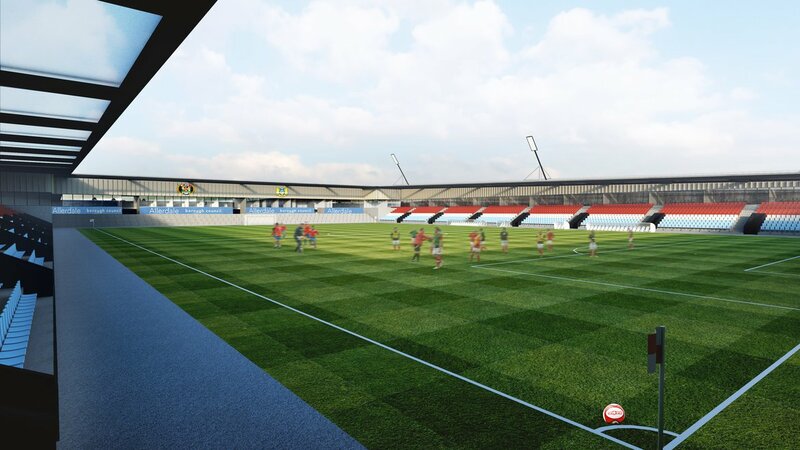 The benefits of the stadium will also be felt by the wider community as it will also provide facilities for local clubs and help to inspire people, young and old, to take up sport. The landscaping work will make the riverside location more accessible and attractive for local residents - all part of the council’s commitment to improve the health and wellbeing of residents and improve towns in the area. Our consultants are currently devising a full planning application for the stadium plan. We held an event on 4 December 2018 which allowed people to see the plans and meet with experts on the design and planning process. Thanks to all who attended. The document below was used for the event and has more information on the plans. To meet the playing demands of both clubs, the pitch will exploit the latest hybrid technology using both plastic and real grass. Pitches like this are successfully in use in shared facilities elsewhere. Many of the premiership clubs use this pitch technology and it appeared at the recent World Cup in Russia. The plans have been drawn up by architects Holmes Miller who are internationally renowned for building stadiums. Whilst it is early days and no final cost has been confirmed, similar stadium developments have been built for around £15m. With the additional office space, the likely cost will be £25m. The council is currently putting together a funding package which could include grants, sponsorship and money from partner organisations so that the impact on the council tax payer can be kept to a minimum. In addition, it is hoped the stadium will generate its own income from conferences and events. The plans also include space that can be rented out to other occupiers - all helping to cover the stadium’s running costs.